Thy are a species of dragonfly with strong yellow markings on its body and a brown band along the leading edge of its body wings . It inhabits streams and may be found on logs in shadey areas . 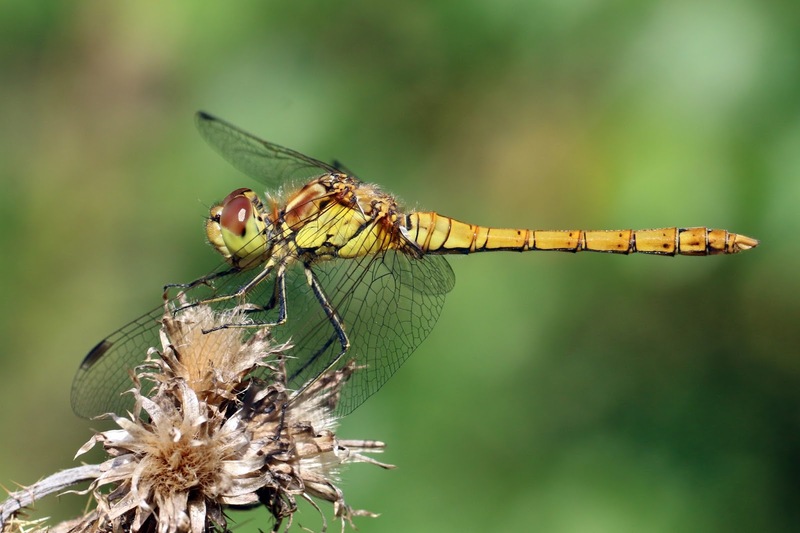 The southern "Giant Darner" is believed to be one of the fastest flying o donates , with flying speeds believed to reach up to 60 miles per hour ( 97 km/h) .